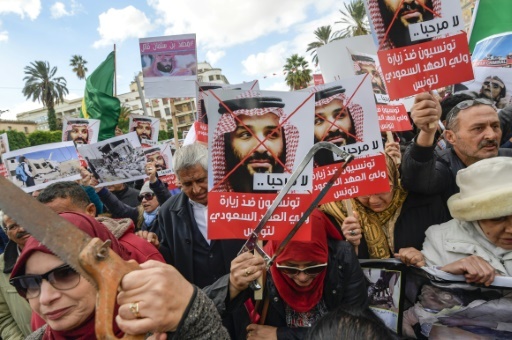 Riyadh (AFP) – Once feted on the world stage, Saudi Arabia’s powerful crown prince faces the cold shoulder abroad as he struggles to shrug off the lingering stigma of a critical journalist’s murder. Prince Mohammed bin Salman has been on an Arab tour before he attends the Group of 20 summit in Argentina on Friday, where he faces world leaders who have strongly condemned Jamal Khashoggi’s killing last month in the kingdom’s Istanbul consulate. The country’s de facto ruler has brushed aside the international pressure, attempting to use the overseas visits — followed by a whirlwind domestic tour –- to shore up his tarnished reputation and reinforce relationships with allies. The prince faces the grim prospect of being treated as an “outcast” by some leaders at the two-day G-20 summit, said Bessma Momani, a professor at Canada’s University of Waterloo. But the 33-year-old prince, widely known as MBS, used the regional tour as something of a victory lap after US President Donald Trump — who has praised Saudi Arabia as a “truly spectacular ally” — threw his weight behind him. Trump’s emphatic support came despite the Central Intelligence Agency’s reported assessment that the prince –- who controls all major levers of power in the Saudi government — was behind the killing. 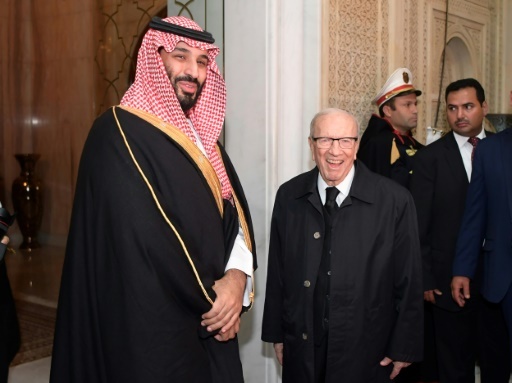 Ahead of the prince’s visit, Human Rights Watch urged Argentine prosecutors to consider bringing criminal charges against Prince Mohammed over alleged war crimes in a brutal Saudi-led war in Yemen and his possible complicity in Khashoggi’s murder. It was unclear whether Argentine prosecutors would act on the request. The prince is expected to meet Turkish President Recep Tayyip Erdogan, who has kept international pressure mounting on the kingdom by saying the orders for Khashoggi’s killing came from “the highest levels” of the Saudi government. In a foretaste of expected acrimony at G-20, the prince faced hundreds of protesters Tuesday during a brief stopover in Tunisia, with many shouting “Go away assassin!” and some clutching red-stained chain saws -– a reference to Khashoggi’s gruesome murder. Anuj Chopra is the Riyadh bureau chief for Agence France Presse, covering the Middle East and world news. His reporting has also been seen in The Washington Post, France 24, Yahoo, MSN, Business Insider, New Zealand Herald, The Star (South Africa), La Presse, and Mail & Guardian.